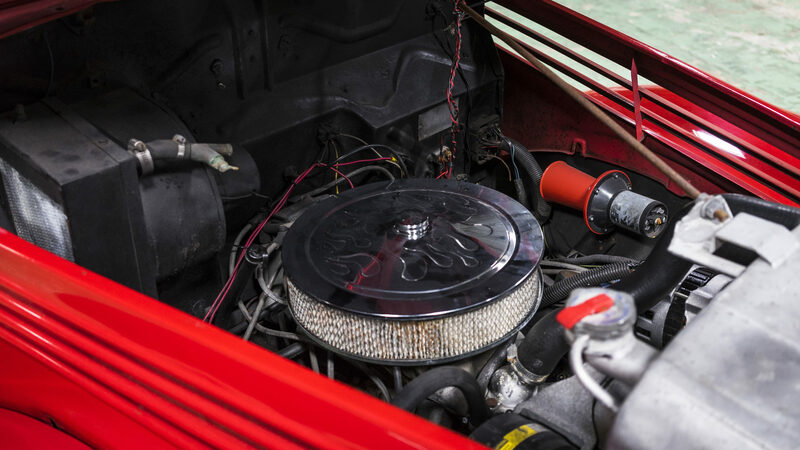 Whether you are going to a car auction to pick up something interesting, or have just bought something from “Bring A Trailer“, or have a competition car you need to transport to the track, you need something to transport it on. It’s vastly preferable to transport your vehicles using something that is not only practical but that will turn a few heads in the process. 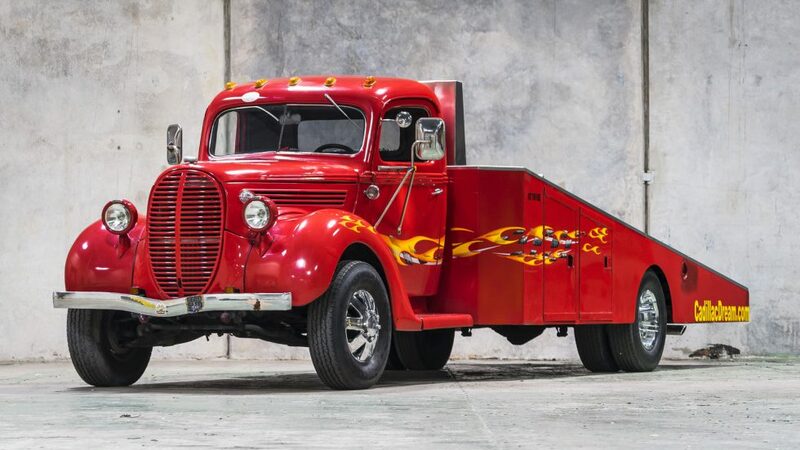 Enter this 1938 Ford Car Hauler. 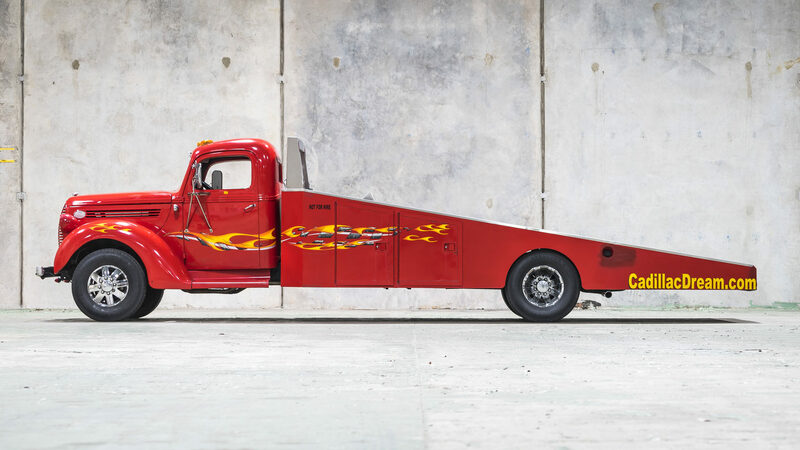 Not only is this truck a classic in its own right, but its a practical car transporter. This car transporter is a classic vehicle and appeared on “South Beach Classics”. The truck has a 350 cu. in. GM crate V8 engine mated to an automatic transmission so you don’t need to operate a thirties crash gearbox (although that’s actually a lot of fun), and it has an electric winch with which to haul the vehicle you’re transporting up onto the bed. The GM V8 crate engine fits nicely under the hood of this 1938 car transporter. 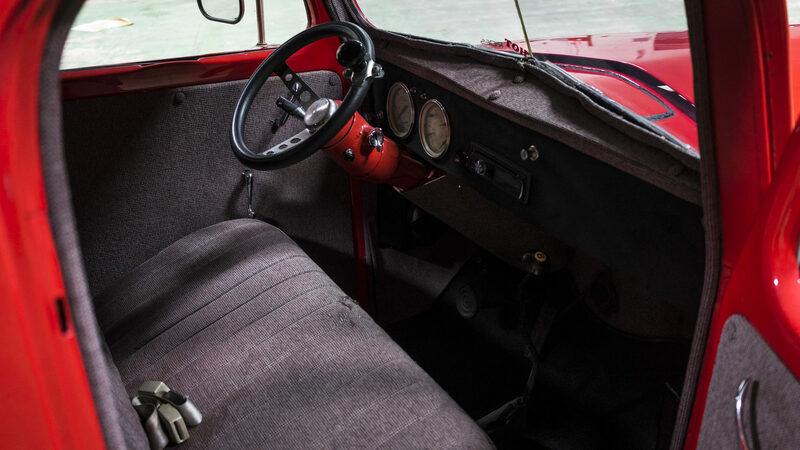 The cab interior features a gray tweed-like fabric and to ensure an enjoyable atmosphere on long car hauls is fitted with a Pioneer stereo system. Curiously the steering wheel is fitted with a Brodie knob which a new owner may or may not want to keep. The Brodie knob on the steering wheel is something you’ll either love or hate, either way it is removable if desired. This interesting car transporter could also serve to transport your all terrain hunting and fishing vehicle to the proximity of your favorite hunting and fishing spots. 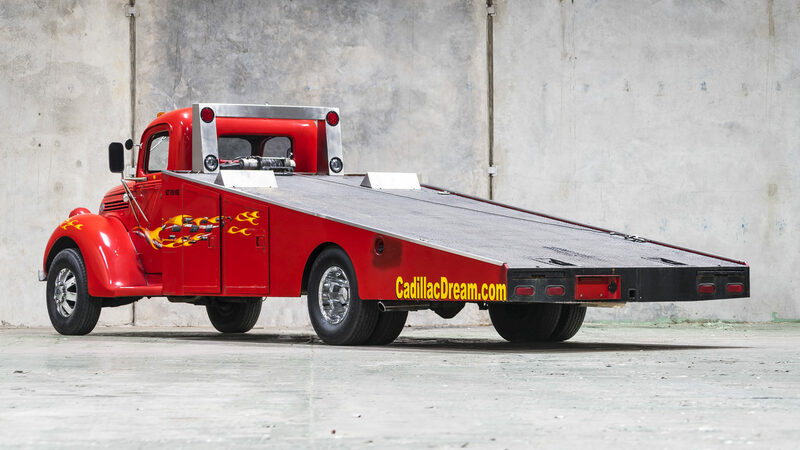 This 1938 car hauler has a good sized angled flat bed and should accommodate Cadillac sized automobiles comfortably. 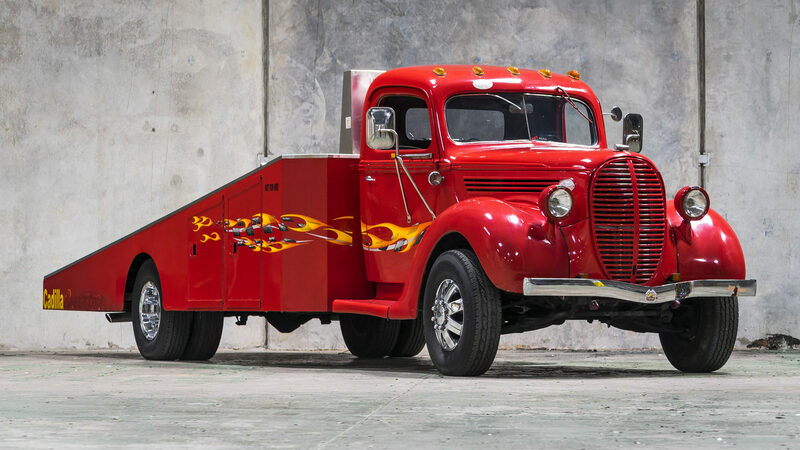 This 1938 Ford car hauler is coming up for sale by Mecum Auctions at their Houston sale to be held over April 6th-8th, 2017. You will find the sale page for this vehicle if you click here. It is surely a stylish machine.